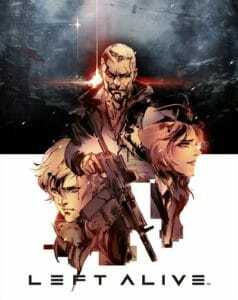 Square Enix Announces Survival Action Shooter Left Alive | Nerd Much? And the character design has a very familiar feel. The Tokyo Game Show is going down over in, well, Tokyo. And we’re beginning to get our first splashes of news from the event. During the 2017 PlayStation Press Conference, Square Enix pulled back the curtain on what looks to be a potentially new major IP. 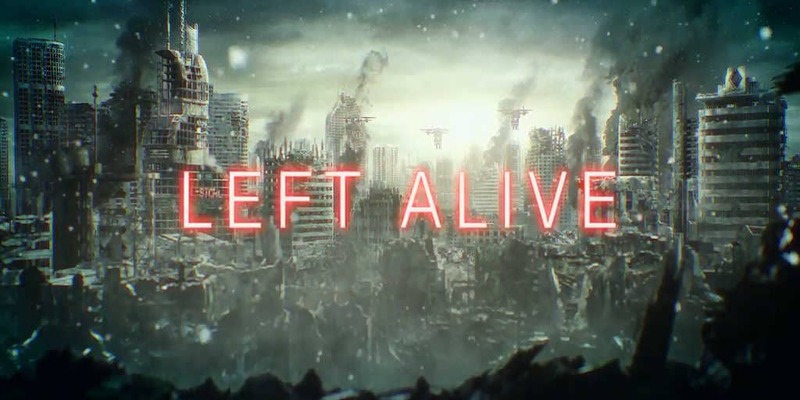 They are calling the survival action shooter Left Alive. Square Enix is keeping their cards close to their vest at this point. They did release a teaser trailer, but it’s not actual gameplay. It shows a city engulfed by utter destruction while large helicopters or drones appear to be canvassing the area. And that’s it – roll credits. At a quick glance, you may feel as though Left Alive belongs somewhere within the Metal Gear family. I can assure you it isn’t. This is Square Enix, of course, not Konami. But Left Alive does feature none other than Yoji Shinkawa as the game’s character designer – previously of the Metal Gear series. And thus why, at least from a character designer perspective, you’re sure to feel some similarities to the Hideo Kojima created titles. Left Alive is being directed by Toshifumi Nabeshima, perhaps best known for his work on the Armored Core series. Also credited as the game’s mech designer is Takayuki Yanase. Yanase was previously involved in Ghost in the Shell: Arise, Mobile Suit Gundam 00 and Xenoblade Chronicles X . However, just knowing that Yanase is involved with the project as a mech designer sheds a little bit more light as to what we can expect from the game. We’ll have to wait for the Tokyo Game Show to continue before getting any further snippets of information on Left Alive. Square Enix did confirm that the survival action shooter is slated for a 2018 release on PlayStation 4 and Steam.